Hello everyone, CEO Olivia here. 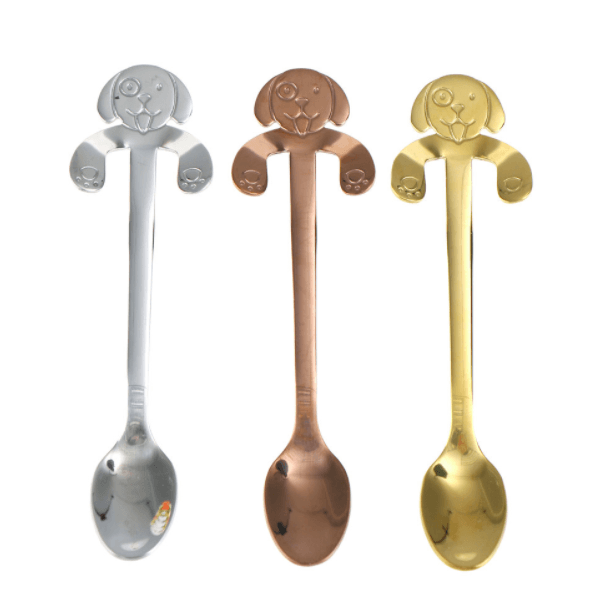 Today I’m going to explain something called spoon theory & how it applies to us good dogs. So first, what is this spoon theory. With humans it works like this, every morning, a human with a chronic illness wakes up with a certain number of “spoons.” Spoons represent the number of activities or interactions that they can handle in a day. Once they run out of these spoons, they need to relax & recharge. If they don’t, it could result in a physical or mental crisis. The big difference between dogs & humans is humans can chose how they “spend” their spoons. They can plan the day to manage how the spoons will be used. Dogs don’t have this ability. For the most part our humans decide which path our morning walk will take, what & when we eat, who we can interact with & so on. How many spoons a dog starts the day with really depends on the individual. Happy dogs may have many more spoons than say a fearful dog. A spoon is removed from a good dog’s collection every time they are expose to a situation that makes them uncomfortable. If a good dog has run out of spoons it may react badly such as biting. But it’s not the dog’s fault, it’s reacting to being stressed beyond it’s abilities to cope. As a dog parent, it’s your job to recognize stress signals in your dog & try to prevent situations (or people) that cause them anxiety. For your dog, this may mean scheduling your daily walk for a time when fewer bicyclists are on the trail, or leaving your dog home instead of taking them to the store with you. It could mean giving your dog “me time” when they can relax with a Knotty Toy or enjoy a nap. Most importantly, it means being present with your good dog & knowing when to remove them from a situation. A dog isn’t able to say, “Hey, I’ve got one spoon left & if this kid pulls my ear one more time, I’m done! !” You are your dog’s spoon-monitor. My huMom & I would like to thank the Facebook Group, “Naturally Ally“, for posting about this interesting topic. The group is run by the huMom of a fallen epi-warrior & focuses on natural & holistic approaches to fighting canine epilepsy.